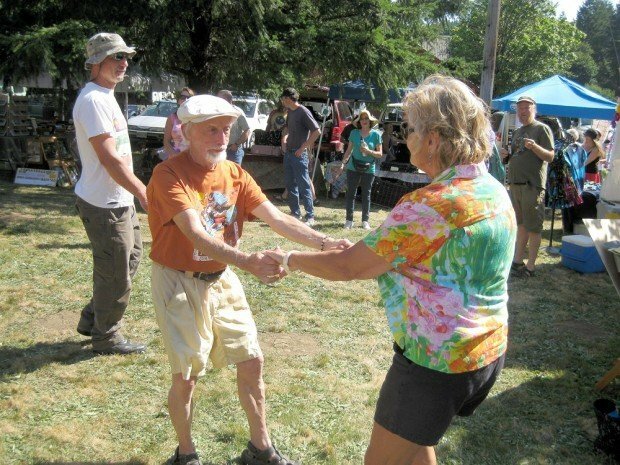 To most attendees, the 33rd (or so) annual Summit Summer Festival went off without a hitch. The day was perfect; not too hot and not too cool, with continuous sunshine from noon on. The music flowed seamlessly from the stage from noon into the afternoon, featuring original tunes by local musicians, mesmerizing music by a marimba band, a classic Grateful Dead song by the Summit Chorus and much more. 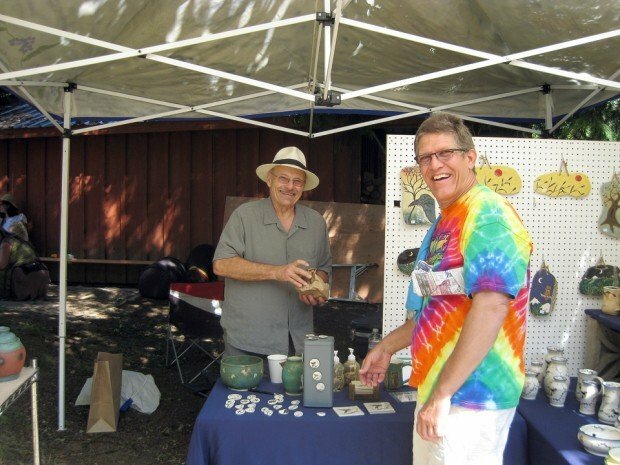 An array of arts and craft booths attracted a brisk business, while food vendors dished out delicious pad thai and tamales. Young girls paraded around with their newly coiffed big hair and glittery henna body art. Midway through the festivities, an eclectic Mardi Gras band materialized, weaving through the crowd, creating a raucous sound and delighting all. Watching youngsters cram juicy melons into their mouths during the watermelon-eating contest was a hit with the crowd. Shortly after the group dance, Mark Scacco took the stage as auctioneer for the dozen or so pies and cakes donated to the event. Along with the Summit Summer Festival T-shirt sales and silent auction, the pie and cake auction raised the most money for the community. By 6:30 p.m., the crowd was getting restless in anticipation of the raffle drawing. All day, people had lined up to buy raffle tickets in the Summit Center, where the 2012 Summit Star Quilters’ raffle quilt was on display. Everyone agreed it was one of the most beautiful quilts ever. When 9-year-old Neil King drew the winning ticket, a cheer went up as Summit resident Barbara Sinclair’s name was announced. Sinclair is a sophomore at Oregon State University who won the Summit Star Quilters Scholarship last year. The music resumed. As the air cooled off and booths were being disassembled, the music continued into the evening. Darkness brought a different atmosphere to the festival, as lights twinkled from the stage, and the music really rocked. Dancers twirled and swirled to the tunes. Those on the inside, however, know how hard it was to get the show going this year. The week before the festival was fraught with complications, ranging from the port-a-pottie’s untimely delivery to the last-minute cancellation by several vendors. The quilters worked down to the wire, scheduling marathon sessions to get the quilt completed by Saturday. Several members of the stage crew backed out, realizing that they had prior commitments, sending organizers scrambling to fill those important volunteer positions. The Summit Dancers and the Summit Chorus were squeezing in more practices to get their routines down. Everyone was fretting about the predicted triple-digit temperatures. Would we have enough water for everyone, and could we keep people cool? Two days before the festival, a water pipe broke and spilled water all over the floor in the Summit Center. At the very last minute, the silent auction booth was missing a canopy. To top it all off, Saturday morning dawned in the Coast Range accompanied by drops of rain. By 11 a.m. Saturday, however, everything seemed to be resolved. The sun was peeking through, all hassles were forgotten, and people were in party mode. Wait a second! Hasn’t the week before the festival been like this every year? For 33 years? We persevere. Peace, love and happiness.